Many residential and commercial companies rely on external contractors to handle their cleaning needs. Business owners who currently do not have cleaning services, or are not satisfied with their current agreement may give you the opportunity to make a bid for the contract. Cleaning bids can be for residential and/or commercial work, and you need to take into account both the requirements for cleaning materials and the cleaning processes itself. It is different for different cleaning niches such as window, carpet, home or office cleaning. There is even some overlap between them. You may do some window and carpet cleaning for an office but not for a home or visa versa. Common tasks for office cleaning include garbage disposal, vacuuming and cleaning of common areas, cleaning and vacuuming of cubicles, cleaning and sanitizing baths, cleaning of kitchen area and maintenance of kitchen and bathroom materials. Common tasks for home cleaning include full kitchen cleaning including some appliances, bath cleaning including all glass, entryway, hallways, bedrooms, stairs, dusting high to low, floor boards, inside of some windows, some furniture and carpet spot cleaning and straightening up of objects. Your cleaning checklist should include sweeping, mopping, dusting, polishing, spot cleaning furniture, washing laundry, cleaning the fridge and other equipment, collecting debris, emptying garbage, washing carpets and rugs, disinfecting baths, window cleaning and other services that the client may require you to perform. Remember that you want your checklist to be more detailed than other cleaning services in your area, so that you can stay competitive without overcharging or under charging your customers. The top list is just a starting point. Commercial cleaning is a cleaning term that occurs in reference to a company rather than a residence. It can include everything from small offices to large production and warehouse facilities. Construction companies hire cleaning companies that can adhere to a rigorous schedule, do excellent work and be dependable over a contracted period of time. If it is a commercial cleaning bid, the most obvious place to start is with a web search. You can search by area for office parks and commercial sectors and make a list of the names. You use the web and a search engine to find the public website for the companies you listed, the company website should provide you with general corporate information and a contact person. Call them to find out the services that are needed and the price range for the job you are inquiring. This is called cold calling. There are many other ways to find commercial cleaning jobs that are covered in the Clean Up Now System. You will need to have a system to maximize profits and have that factored into your bidding process. 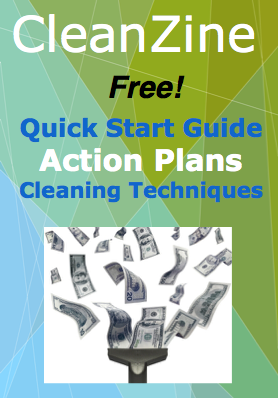 There are formulas to follow depending on what niche of cleaning you are specializing in. No matter what your system, clearly communicate what the client can expect when they are hiring your business cleaner. Be attentive throughout the whole process and always follow up. Those are some general considerations on how to give cleaning bids for both residential and commercial cleaning.